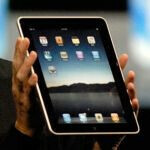 The Apple iPad has been the gold standard of tablet devices. While we're all excited about Android, webOS, and BlackBerry tablets, we have to admit that we expected the iPad to still reign supreme. But now, data from Strategy Analytics shows that the iPad has lost considerable market share to Android already, dropping from 95% to 75% in the last quarter. A drop to 75% might not sound like that big of a deal, but it is particularly impressive considering Apple's expectations. Tim Cook, Apple's COO, described Android tablets as "vapor" next to the iPad. Also, Android tablets have barely gotten off the ground. They may well enjoy a meteoric rise in the coming years, much like their smartphone brethren. The Galaxy Tab hasn't been as popular as expected, selling only "a small number" of the 2.1 million shipped units, according to Samsung's Lee Yong-hee. But also in Q4 of 2010, Apple was left with 525,000 more unsold iPads than any previous quarter. If nothing else, the expectation of further Android offerings might have diminished the iPad's appeal. It's important to note that the market share statistics come from units shipped to retailers. That figure doesn't really capture consumer demand, so much as anticipated consumer demand. But it's still clear that Apple had better bring their A-game with the iPad 2. Android tabs are cheaper alternatives for the ipad, so of course it will sell to those who cannot afford the ipad and would settle for a decent alternative. But the ipad would remain the dominant one. Right, just like how Android phones are poor man's iPhone? Whatever, get your head outta apple's behind. people bought a bunch of tablets when they first came out because they were something new and seemed cool.now everyone is realizing that they are nothing more than a gimmick and can't replace a laptop.that's why sells of tablets are dropping.the wow factor is already gone. oi, like always PA is misrepresenting or behind. its already been shown that the samsung dude's comments were mistranslated. he said sales have been "smooth" not "small".